If you’re like me, you want to have tons of images on your site. 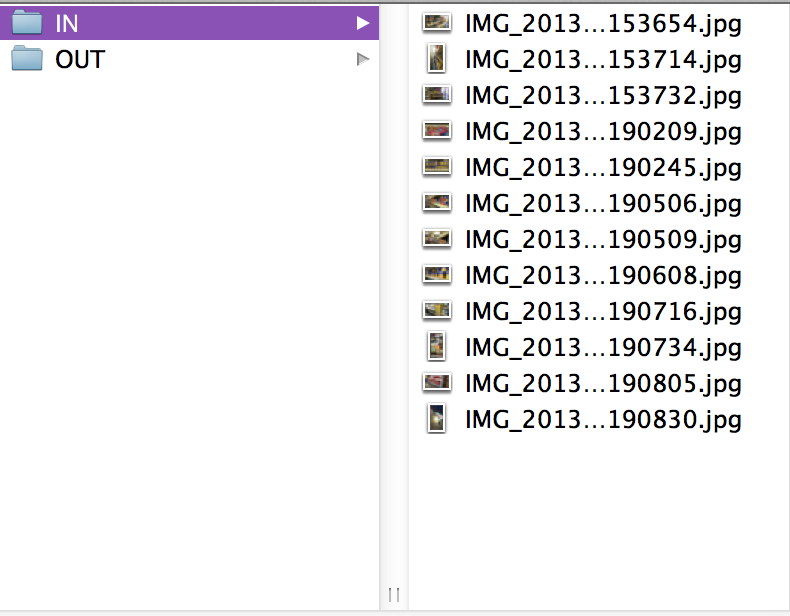 But, sometimes you want all those images to look uniform and consistent – same size, same filter, etc. It takes a lot of time to change each photo one by one, so here’s a process that will allow you to edit all your photos at the same time. It’s called Batch Processing. Before getting into Photoshop, there’s one simple thing to set up. 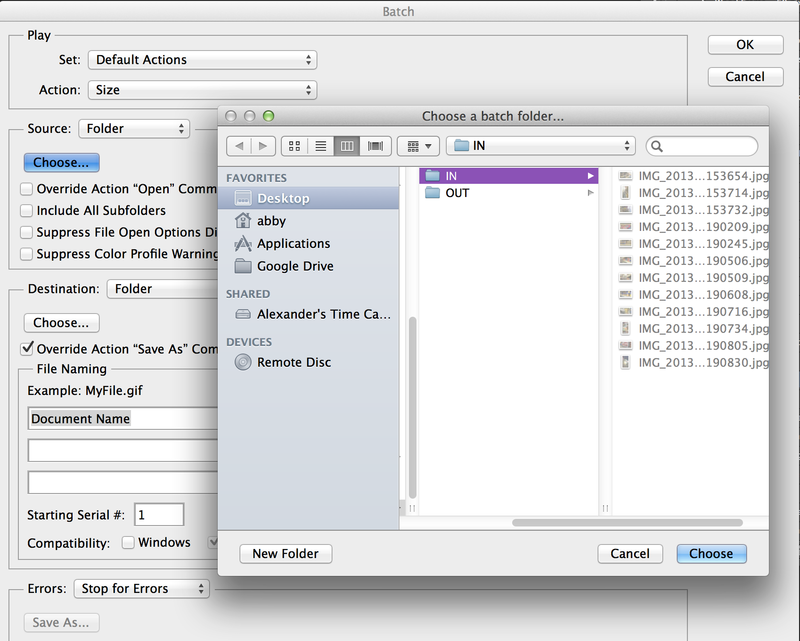 Start by creating two new folders in the location you want your images to end up. Label one folder “IN” and one folder “OUT”. In your “IN” folder, place all the images you would like to change. Leave your “OUT” folder empty for now. In the dialogue box that appears, title your action whatever you wish. It will be automatically saved as your Default Action, which you should remember for later. In the dialogue box, hit Record. You’ll notice at the bottom of your Actions Window a red circle will appear, symbolizing the recording has begun. 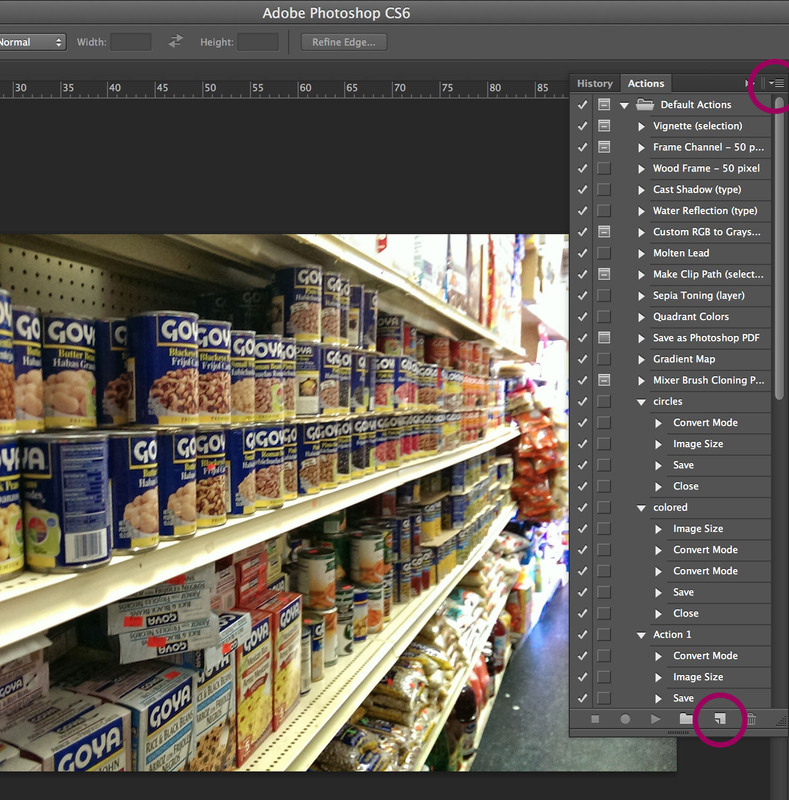 From this point on, Photoshop will record every action you take until you press the stop button. Now you can begin to change your photo in whatever way you wish. In the Actions Window, you’ll also notice a menu with your new action has appeared. Under this menu, you can see every action you take. BEFORE you stop recording your action, complete the action by going to File > Save As, and saving your photo in the “OUT” folder. As you can see, the save step is also recorded in the actions. This ensures that all your photos will save to the place you want them to save. If you would like all your photos to close after they are changed, you can also close your photo. The close action will be recorded as well. Then you won’t have a billion photo tabs to close in Photoshop when you finish. Now you will apply the changes to all your photos. 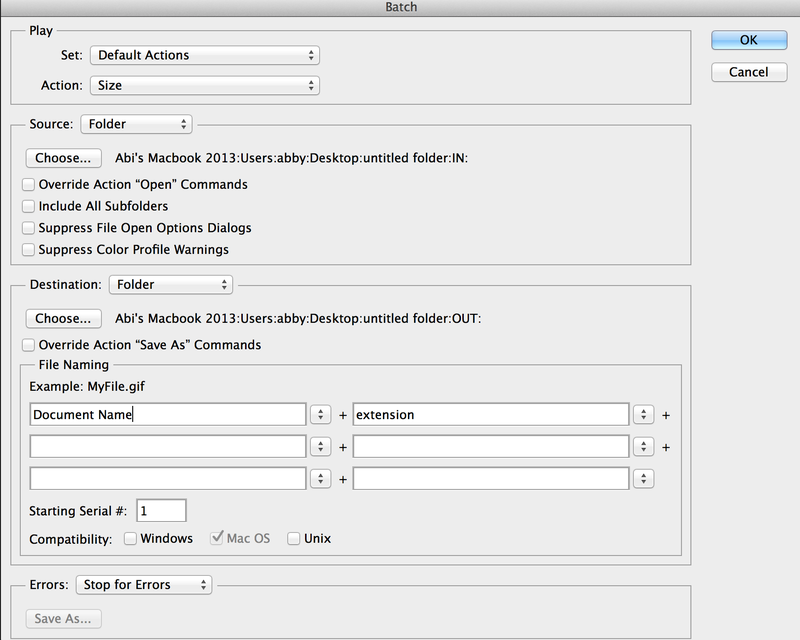 In Photoshop, go to File > Automate > Batch. Under the “Play” division, your set is on Default Actions, which is the automatic setting we used before. Make sure your Action is set to the action you just made. Under “Source,” find and choose your “IN” folder. Under “Destination,” choose your “OUT” folder. Then click OK.
All of your images will then be processed and saved to your “OUT” folder. This Action is also saved in Photoshop for later use! Think of all the photos you can now crush at once. CAN YOU FEEL THE POWER COURSING THROUGH YOUR VEINS?!?! ~ by Abi Laurel on September 30, 2013. Very interesting trick. This tutorial is successful because it teaches you many things in addition to how to manipulate many images at once. 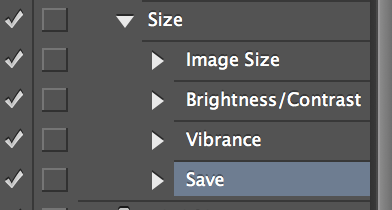 With this information you can save favorite presets that you wish to reuse for different photographs. The language is sometimes a little wordy but this may be because of the complex nature of this task. Your images are successful 1) because they highlight exactly which feature is being discussed in photoshop and 2) because they are easily legible without having to click on the images themselves. Perhaps one way to make this tutorial a simpler to follow guide is to include a chronological step format. Each step can be numbered and bulleted so the reader can quickly jump from step to step and jump back to a step they wish to read again. Your procedure is detailed and helpful, but I see a lot of references to this being saved for later and no instruction on how to find it again. For example, if I wanted to process another batch of photos in the same way a few days later, how would I find this action again?